Med en HDMI splitter delar man upp en signal till flera, med QU-4-4K22 finns det en ingång och fyra utgångar.
? ?The QU-4-4K22 Distribution Amplifier (splitter) accepts one HDMI input and splits this signal to four identical outputs. This device supports 4K2K Ultra-High Definition video with HDMI2.0 and HDCP2.2 compliance. 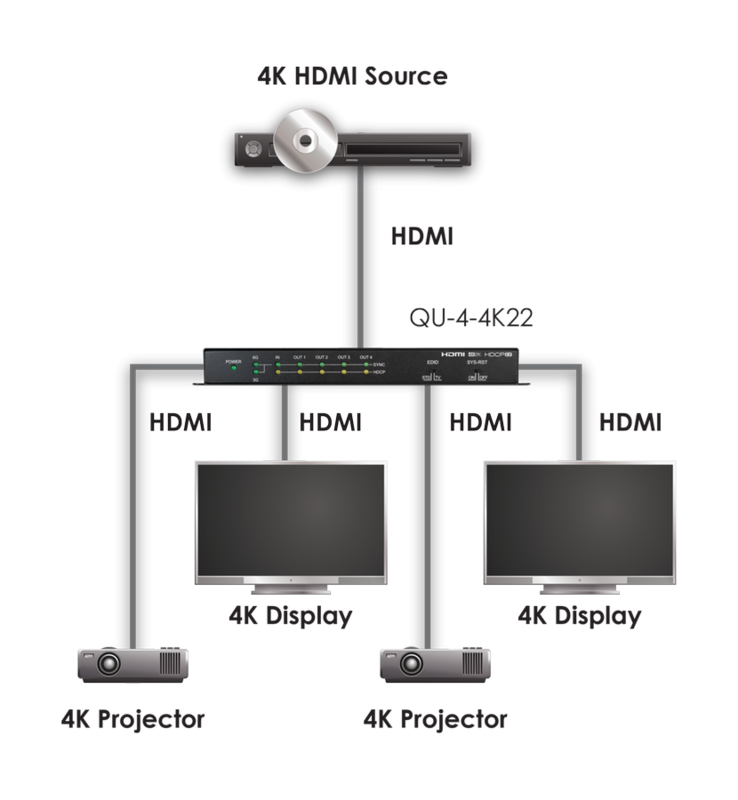 In addition, 3D Video signals and High Definition Audio formats such as LPCM 7.1CH, Dolby TrueHD, Dolby Digital Plus, Dolby Atmos and DTS-HD Master Audio, audio sampling rate up to 192kHz are also supported. Each buffered output can run 1080p/8-bit up to 20 metres and can also be cascaded up to 3 layers.